The five-star airline commenced the three-times-weekly flights from Doha�s Hamad International Airport to Djibouti�Ambouli International Airport, marking the airline�s 145th global destination. From left, Djibouti�s Ambassador to Qatar, His Excellency Moamin Hassan Berri; Qatar Airways Vice President Africa, Jared Lee; Qatar�s Ambassador to Djibouti, His Excellency Jassim Jaber Jassim Sorour; Djibouti�s Minister of Transport and Equipment, His Excellency Moussa Ahmad Hassan and RAF Foundation�s Marketing and Media Director, Mr. Ibrahim Ali Abdullah during the plaque reveal ceremony for the new Al Amal School in Djibouti. Djibouti�s Minister of Transport and Equipment, His Excellency Moussa Ahmad Hassan, second from left, presents Qatar Airways Vice President Africa Jared Lee with a gift during a corporate lunch commemorating the launch of the airline�s direct flights to Djibouti in Africa. Addressing Ministers, Ambassadors, Government officials and travel trade partners during the inaugural event in Djibouti, Qatar Airways Vice President Africa Jared Lee, said: �Qatar Airways is proud to be the first five-star airline connecting Djibouti to popular business and leisure destinations across the Middle East, Europe, Asia, Australia and the Americas. �Djibouti presents a great opportunity as the country has huge appeal for many with its wealth of natural resources and tourist attractions. Qatar Airways has announced that once they will receive their long awaited Airbus A380, the first destination to be served with the giant aircraft will be London Heathrow, later to be followed by Paris CDG. The aircraft will be configured in a three class cabin layout, featuring First, Business and Economy in what will arguably be the best and most comfortable design of its kind. It is understood that the First Class Suites will rival those of QR�s nearest competitors, if not outdo them, while both Business and Economy will put to shame the crammed environment many other airlines using the A380 subject their passengers to. Meanwhile is Qatar Airways stepping up the deployment of the B787, as more of the aircraft are joining their fleet. Qatar Airways is presently flying daily to Entebbe and on to Kigali, once a day to Kilimanjaro and serves Nairobi and Dar es Salaam double daily with an Airbus A320. Said one of their staff when asked to comment on the comparison with the wide body aircraft used by their closest competitors: �The flight to Doha is just about 5 hours. The A320 are state of the art aircraft with inflight connectivity and inflight entertainment. Our catering on board is first class or we would not be a 5 star airline. Turkish comes here with a B737-800 or in some cases the B737-900, Etihad comes to Nairobi with an A320 too, so this strategy to open up markets is proven. The use of a smaller aircraft also allows for a second daily frequency to airports with some more demand, which gives greater flexibility to our passengers. The announcement 3 weeks ago of a partnership with Fly 540 also expands our reach in Kenya and the region, because we can now serve passengers from beyond Nairobi or other main airports to which we fly. And we have no complaints about the type of aircraft we operate from East Africa to Doha and from there are our wide body aircraft take passengers to their final destination across the globe. We are also still the only Gulf carrier operating the new B787 Dreamliner� said a staff of the airline on condition of anonymity for not being the official spokesperson for the carrier in the region. The new Doha international airport which is due to open later this year, has according to earlier information received from the airline � which also operates the airport � been purpose built to cater for the Airbus A380 and the combination of a brand new mega airport and a fleet of brand new mega planes will undoubtedly raise the profile of QR even further across Eastern Africa. Watch this space for regular and breaking news from the region�s vibrant aviation sector. Qatar Airways won the coveted title of the World's Best Airline at the 2011 World Airline Awards, in a ceremony at the Paris Air Show. Doha-based Qatar Airways also receives the Best Middle East Airline award and the World's Best First Class Airline Lounge award for it's Premium Terminal facility at Doha Airport. Ranked No 1 in the world, Qatar Airways pipped the 2008 winner Singapore Airlines into 2nd place, with Asiana Airlines (Best Airline in 2010) in 3rd position. Cathay Pacific Airways retained 4th place from last year. Thai Airways International was an improver in the survey results, rising 4 places into 5th position. Doha, QATAR � Qatar Airways is gearing up for yet another year of massive expansion with the announcement of launch dates for new routes in Africa, Europe and Australia. 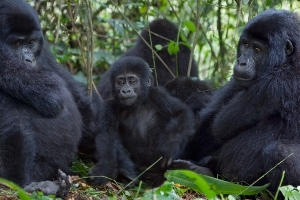 The African expansion drive is set to continue with scheduled services starting to the Rwandan capital Kigali on March 21. Zagreb will boost the airline�s European portfolio further with the launch of flights to the Croatian capital from May 9. At the height of the summer in the Northern Hemisphere, the airline unveils its second Australian route, to the Western city of Perth. 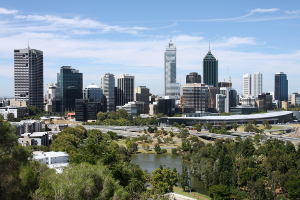 Since launching flights to Australia in December 2009 with direct services to Melbourne, Qatar Airways has been considering additional capacity Down Under and is pleased to soon offer Perth. Last year, Qatar Airways� expansion focused on Europe with the introduction of seven new routes � Bucharest, Budapest, Brussels, Stuttgart, Venice, Sofia and Oslo, taking its European capacity to 27 destinations. The addition of Baku, Tbilisi and Zagreb is a significant move for the airline, probing underserved markets which have limited capacity. All three routes will provide excellent connections to diverse destinations across the airline�s rapidly-growing international network. Kigali, rich in mining and a key African business centre, becomes the latest stop on Qatar Airways� 16-strong city African network, which last year saw two destinations added on the Continent � Entebbe and Benghazi. Operating via Entebbe, the daily Kigali flights provide excellent connections over Qatar Airways� Doha hub to cities across the Middle East, Europe and Far East. Flights to both Kigali and Zagreb will be operated with an Airbus A320 in a two-class configuration of 12 seats in Business Class and 132 seats in Economy. The Perth route will be operated with the long range version of the airline�s flagship Boeing 777 aircraft featuring 259 seats, configured in two-classes � 42 seats in Business Class that convert into fully horizontal flat beds, and 217 seats in Economy Class. 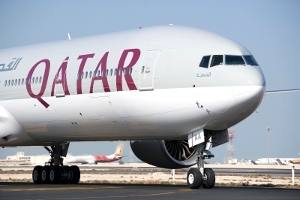 Qatar Airways Chief Executive Officer Akbar Al Baker said the airline was expanding on different Continents as part of its aggressive growth strategy to open up new routes to key business and leisure destinations. �We are delighted to be forging ahead with our expansion with today�s announcement of dates for three new routes on three Continents,� he said. �These are exciting times for Qatar Airways as we begin our route expansion program in just a few days� time by inaugurating services to two European capital cities. Qatar Airways today announced further expansion of its rapidly-growing international network with five new passenger routes, more cargo services and capacity increases to a number of destinations served direct from the airline�s Doha hub. Iraq, Tanzania, Serbia and Myanmar are featured in the passenger route expansion program over a six-month period starting in May. New freighter services will be introduced to Korea, Pakistan, South Africa and Oman, while frequency of passenger flights will be stepped up to destinations in Europe, Middle East, Africa and Asia Pacific. Qatar Airways will induct a second Tanzanian point to its African map with the launch of flights to Kilimanjaro. The Serbian capital Belgrade becomes the newest addition to the carrier�s European portfolio in September and the airline returns to Myanmar, serving the capital city Yangon from October after a four-year absence. Today�s news follows previously announced start-ups to a number of other international destinations during 2012, namely the Rwandan capital Kigali from March 21, Zagreb (May 9); Perth (July 3); Mombasa (August 15); with dates yet to be revealed for launches to Zanzibar (Tanzania), Helsinki (Finland), and Gassim (Saudi Arabia). For more information, visit http://www.qatarairways.com. Founded in 1993 and re-launched in 1997, Qatar Airways, based in Doha, is the national flag carrier, half owned by the Qatar government, with the remainder in private hands, and one of the Middle East's "big three" network airlines, with aggressive fleet and route network expansion plans. The carrier operates an extensive network of regional services in Asia and the Middle East together with international services to Australia, Europe, Africa and North America. 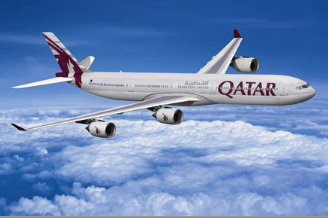 Signed up in Oct-2012, Qatar will join the oneworld global alliance in late 2013 or early 2014. By Capa aviation.